Would you like to help a very worthy cause and get some great stamps while doing it? Check out Stamps for a Cause to find out how. 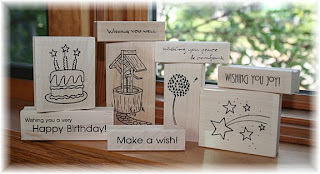 GinaK has designed a beautiful stamp set and $7 from every purchase is going to the Make A Wish Foundation. I had to get in on that action. Look at these beautiful stamps. Can you just imagine the beautiful cards you could create with this set? This is such an all purpose set. Now go to Stamps for a Cause and check out the cool card samples and find out how to order your very own stamp set.